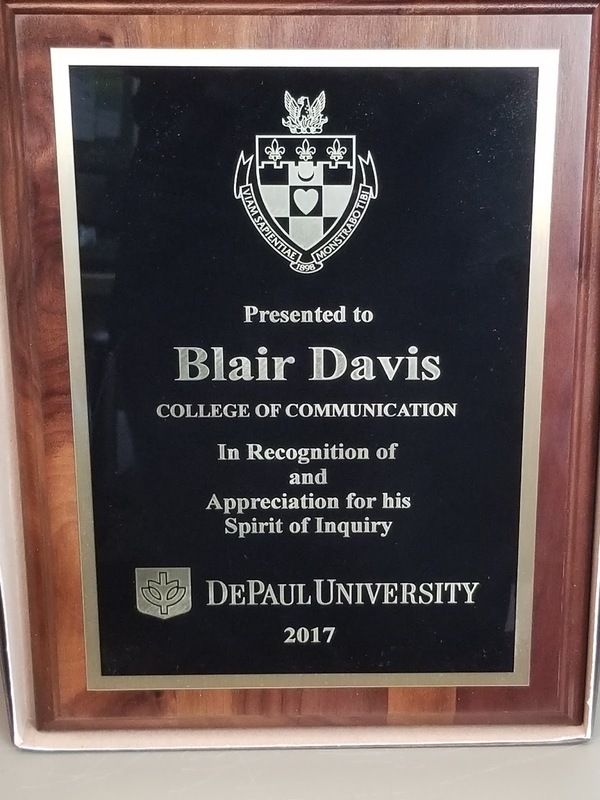 I'm thrilled to have received DePaul University's 2017 'Spirit of Inquiry' award for excellence in research. The award honors "the spirit of creative inquiry, which we endeavor to inspire in our students," and I'm truly proud to have been given this award in recognition of my scholarly work. Thank you to my nominees, the College of Communication and DePaul's University Research Council for this great honor.